My husband, children, and I have been seeing Dr Steve for years and we are so grateful for his work. He has helped our family with childhood earaches (the adjustments kept us from getting through ear infections without the need for constant medications), twisted ankles, sore backs, necks, knees and even wrists and hands. Pretty much most ailments we encountered were relieved with Chiropractic care. It is amazing to me how the body works, how its systems are intertwined, and how easily it heals itself when helped. Thanks Dr. Steve! 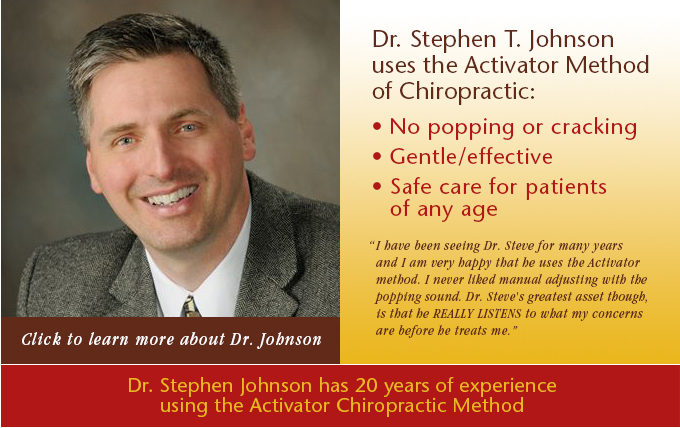 I have been seeing Dr. Steve for many years and I am very happy that he uses the Activator method. I never liked manual adjusting as I was worried that something would break (especially my neck). Dr. Steve's greatest asset though, is that he REALLY LISTENS to what my concerns are before he treats me. I don't feel like I am being pushed through as on an assembly line. He also takes the time to give me exercises that I can do at home. Finally, he has extended hours that makes it easy to get in to see him when a problem occurs. I feel better after I see him and that's what counts. As a single mother of 4, I can't tell you how much I appreciate Dr. Johnson's care. From chronic tension headaches, a thrown-out back, or sports related knee problems, he has helped me find tremendous relief! My children have also seen him for various issues and we all could not be happier with the results! Their staff is very friendly, kind, and professional and I am grateful for their flexibility in getting me in so quickly. I have seen Dr Steve throughout the years and have always felt better after a visit. 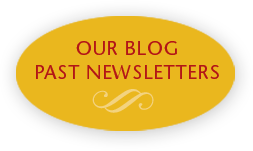 Through accidents, childbirth and maintenance checkups, I have always felt much better. Not only did any pain I have release, but I also had more energy. I recently, brought my newborn son in to be adjusted. Born early he was having digestion issues and cried most of his waking hours. I brought him to the office, crying and stiffening in pain and immediately after having him adjusted, he settled down, was awake for several hours completely at peace and had his first 5+ hour sleeping stint. The staff is friendly and they make you feel at home and I truly feel that Dr Steve wants to make a difference in your health. 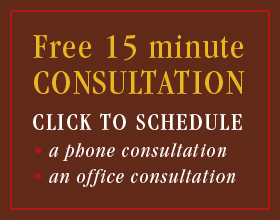 I highly recommend this office and believe that you will be satisfied by the care you receive at Dr Steve's office. My husband, children, and I have been seeing Dr Steve for years and we are so grateful for his work. He has helped our family with childhood earaches (the adjustments have allowed us to get through infections without the need for constant medications), twisted ankles, sore backs, necks, knees and even wrist and hands. 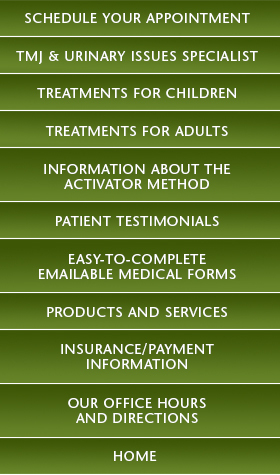 Pretty much most ailments we encountered where relieved with Chiropractic care. It is amazing to me how the body works, how its systems are intertwined, and how easily it heals itself when helped. Thanks Dr. Steve! Dr. Stephen Johnson is a fantastic chiropractor---I have been to a few chiropractors in my life but he was by far the best! I had suffered from low back pain with sciatica running down my leg. I couldn't walk more than a block or two without enormous discomfort. I had pain and aching in my hip when trying to sleep. I had it for about 15 years. It was annoying and prevented me from exercising. My results were remarkable. I can walk any distance without discomfort. I sleep without aching or pain. I can exercise without pain and I am getting stronger every day. I couldn't walk more than a block or two without enormous discomfort. I was treated several times throughout the years by traditional chiropractors with very little success. After seeing Dr. Steve I can walk any distance with no discomfort and I sleep without aching or pain. I was experiencing constant pain in my neck and back due to muscle tension (knots). I was frequently uncomfortable and had more headaches than normal. After Activator chiropractic I'm pretty much pain free now and continue to do my exercises!! I was waking up 3 times a night to go to the bathroom. After seeing Dr. Johnson, I sleep through the night now. He even fixed my sinuses that had been plugged for three weeks. Thanks, Dr. Steve. Dr. Steve, I am happy to report that just after just a few visits with you, Adam's chronic bed wetting problems have vanished. It has made an incredible difference in Adam's life. He was able to attend church camp last summer with no worries or embarrassment. There is no anxiety about having friends over to spend the night. His self esteem has been boasted from 0-100 after just a few short visits with you. I can't thank you enough. My daughter landed awkwardly on her head and should while practicing cartwheel right around her 5th birthday. When she complained that her ears hurt and she felt like she was going to vomit, I didn't bother taking her to the pediatrician. I took her to Dr. Johnson for her first chiropractor treatment. He was able to diagnose the ear infection and adjust her accordingly. She hasn't had any problems since. One a side note: Because she will be participating in swimming and t-ball this summer and starting Kindergarten in the fall, I have decided to begin her bi-annual chiropractic visits. I think everyone should have their bi-annual chiropractic checkups/adjustments just like their bi-annual dental cleanings. It's great preventative maintenance! When I was 16 months along in my pregnancy, I was having problems breathing. My doctor thought I might have a heart murmur. I had an eco-cardiogram and it did not show any problems. I went in for an adjustment for back pain. Almost immediately my ease of breathing improved, as we found that the nerves that go to lungs were restricted. I felt 100x better! If anyone tells you not to see a chiropractor during pregnancy get a second or third opinion. It is the difference between enjoying your pregnancy and possibly being miserable as your body goes through so many changes. Plus, the activator chiropractic care is not invasive and rather gentle compared to other methods so as not to hurt your baby. In 1997, I was rear-ended by a 1-ton truck. The emergency room physician prescribed pain killers and muscle-relaxants. Both made me nauseous and cloudy-headed but did not relieve my pain or migraines. Chiropractic was the only thing that relieved my pain (and WITHOUT medication!) I have since had phenomenal success with my chiropractic treatments and certainly recommend it to anyone suffering from any type of muscle pain, joint pain, immobility, headaches, ear-aches and even less severe, yet persistent symptoms which you cannot seem to find relief. My son got an ear infection when he was only 8 months old. His pediatrician prescribed antibiotics. Before filling the antibiotic prescription, I decided to take him to Dr. Stephen Johnson for his first chiropractic check up. When I got to Dr. Johnson's office I only told him that my son had an ear infection. Dr. Johnson checked his ears and determined for himself which ear had the infection and adjusted him accordingly. Dr. Johnson also taught me some massage techniques to supplement my son's treatment at home. My son had instant relief and I never had to fill the antibiotic prescription. He fully recovered after one visit. My child suffered from frequent ear infections and respiratory issues which began at age 3 1/2. He was also having bladder control issues during the day. After coming to Dr. Steve, my child has fewer coughs and colds and has improved bladder control PLUS he is calmer overall (unexpected benefit). I was experiencing constant pain in my neck and back due to muscle tension. I was frequently uncomfortable and had more headaches than normal. After seeing Dr. Steve I'm pretty much pain free and continue to do my exercises shown to me by Dr. Steve. I had suffered from low back pain with sciatica running down my leg. I couldn't walk more than a block or two without enormous discomfort. I had pain and aching in my hip when trying to sleep. I had it for about 15 years. It was annoying and prevented me from exercising. I met Stephen Johnson through his sister Margaret who is a massage therapist. My results were remarkable. I can walk any distance without discomfort. I sleep without aching or pain. I can exercise without pain and I am getting stronger every day. I have had chronic ear aches and infections most of my life. I have seen physicians, ENT, allergists and they just dealt with the symptoms - never finding the real problem. I have been very pleased with Dr. Johnson's chiropractic care. I truly believe it is why my chronic ear problems have not progressed into infection. My husband was having major troubles with his back and neck areas. Dr. Steve would use this "non pop and crack" method on him and in most cases it worked very well. Dr. Steve recommended that my husband have an orthopedic exam when his neck failed to get better. After looking at the MRI that he had, Dr. Steve also recommended he see a surgeon. Everything went well and we are very happy. I brought my children to Dr. Johnson in tears. Ava and Quinn had been sick since birth with severe GI issues, reflux, allergies, gastric motility disorders, torticollis, plageocephaly, a slight spinal curvature, gait issues and sleep issues. Dr. Johnson is the 6th chiropractor my daughter has seen, we have been blessed to see the miracles of chiropractic even when the pediatricians, specialists, and medications failed us. When my kids came to him they were finally off medications from another chiropractor but still miserable, had stomach issues, very severe constipation, gait issues and my daughter was displaying several symptoms of high functioning autism. I was the world's biggest skeptic and Dr. Johnson was so patient with me and gentle with my children, he found so many things that none of the other chiropractors found and his method was so gentle that Ava calls him the tickle gun doctor and Quinn often giggles when he is being adjusted. Within two visits both of my children's chronic and severe constipation since infancy was gone, and within the first two weeks my sweet girl told me her tummy didn't hurt any more, I think that was truly the happiest day of my life. After an adjustment she is much more attentive, her autistic tendencies go away, and she is much more communicative. After Quinn's adjustments I notice improvements in his co-ordination and speech, he also sleeps much better, one of his signs to go in is that he starts to get eczema on around his mouth, within two days of the adjustment it has faded away. They are so much healthier than when we started just 3 months ago, and the best part is that they are happy and pain free. This is the most precise and gentle form of chiropractic we have experienced, and Dr. Johnson's patience, kindness and experience will make us a lifelong client.